I continuously wake up to this moment. 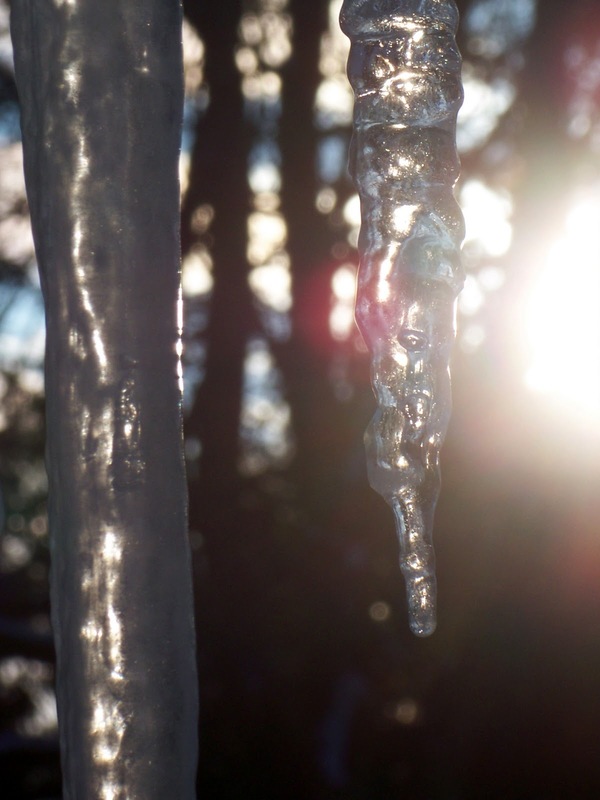 Icicles, teethcycles, crooked, dripping, jagged, sparkling in the morning sun. What could be more perfect than their imperfect edges, ridges, catching the light and my wholehearted attention? I sit and watch them melt, tear by tear, listening for the faint sound of each drop as it descends and finally becomes one with the snow below my window. as I continuously wake up to this moment. I have deeply enjoyed participating in a river of stones this month, it has been a lovely daily practice. I am grateful to Fiona and Kaspa for the opportunity to be a part of this worldwide sharing of moments observed. 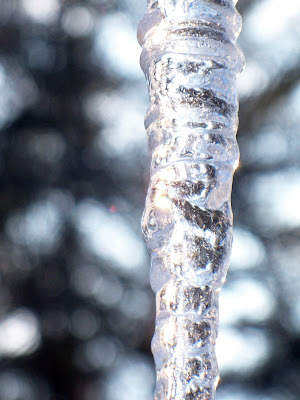 Such gorgeous icicles. 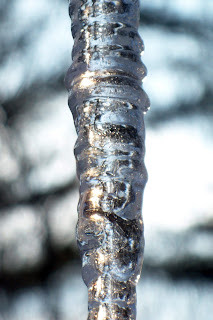 I've been thinking that they are like miniature ice sculptures! aren't it the imperfections that make something perfect??? i am glad you opened the window. 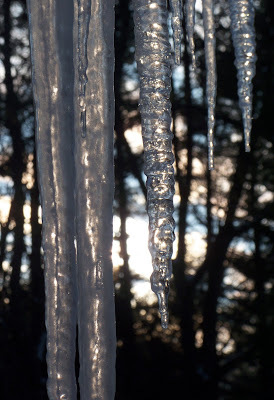 Wonderful closeups of the icicles, Laura! And your words are beautiful, as always. me in my car yesterday, letting it blast in, kissing my cheeks, too. Continuously waking up to the moment -- a perfect description of the difficulty of truly being in the Now on an ongoing basis! Lovely clarity in this post . . . 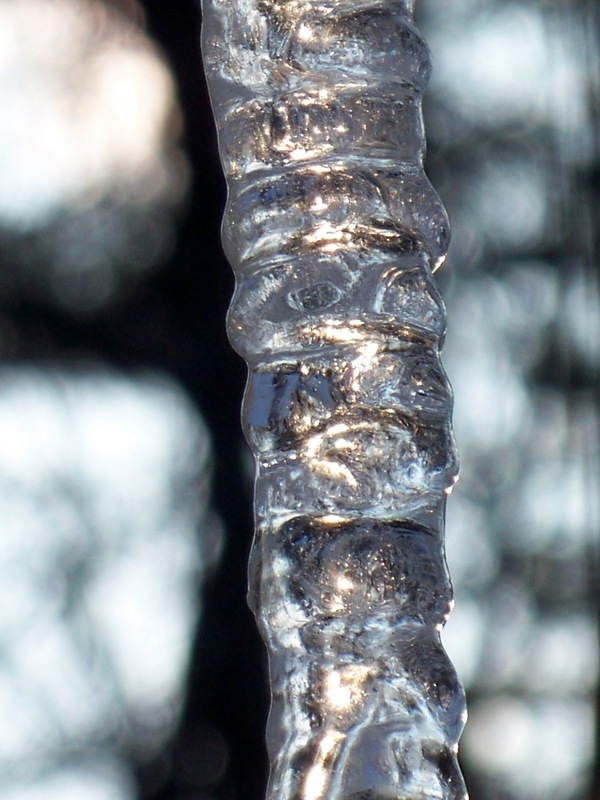 They could be ice caterpillars, couldn't they, with those bumps and ridges? Soon they will transform . . . I have enjoyed the photos of your icicles. They are a beautiful example of winter's wonder. I have a ton of these outside my window as well. I love the sunlight reflections Laura. Terrific shots. Beautiful capture Laura. Imperfections makes us perfect. Keep warm! The nature of transformation is always fascinating. 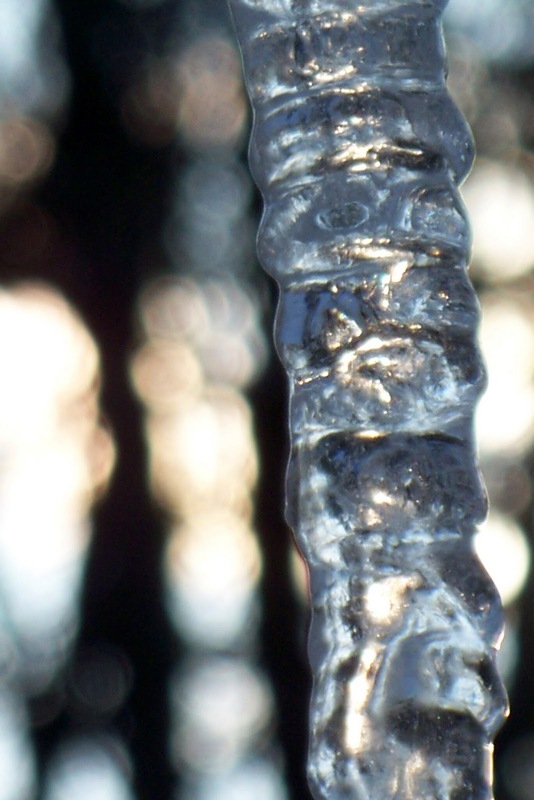 I love icicles, can stare at them and the world reflected in in their irregular surfaces! this awakens me to the beauty of cold water. i usually don't like cold water, laura. you have made it beautiful! Hi Laura...super-super- beautiful post...always a delight to visit your beautiful heart..and your spirit shines through all you create! 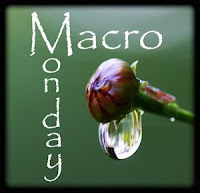 Awe-inspiring photos of nature's gifts! wonderful..and beautiful words and inisghts to match! I agree! Shine on...have a sparkling week..and thanks so much for always leaving a kind word and a bright sparkle..
What a perfect awareness and sensitiveness of nature, an ice melting and dlicicious poem. These are beautiful...they almost look like melted silver in some shots...so pretty. 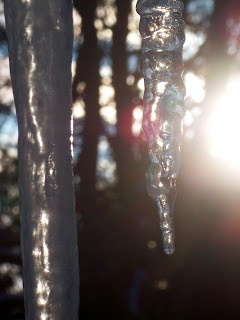 gorgeous photos, I was looking at the icicles outside my window today wishing I could capture the beauty of them and then I see these here tonight. Amazing. thanks for sharing them. They are so beautiful when viewed close up. Hey, I 'remember' you now from way last September! I'm not a "Buddha Chick" (never will be a chick!) but I did just take my first class today, Intro to Buddhism...VERY interesting--even more than that--I'm going back for more and signed up today for the whole course. Exciting! Thank´s for your comment on my Hepaticas !